Konami tweeted out that PlayStation 2 cult classic Zone of the Enders: The 2nd Runner will be getting the remastered treatment for PlayStation 4 and PC, due for release this September. The September release date is a slight delay from the Spring 2018 launch Konami stated back in September of last year, according to Gamespot. 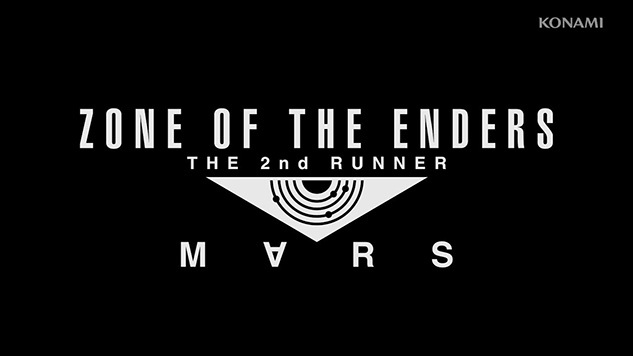 The remastered version, officially titled Zone of the Enders: The 2nd Runner Mars, will be available in two versions: a 4K resolution HD edition and a VR edition. Each edition will be available for PS4 and PC even though the compatible headsets are unknown at this point. The remastered version will have new sound design referred to as “reliving the odyssey from a new perspective,” with brand new unspecified features. The first-person VR for the game was met with some skepticism over the game’s approach to the still-new technology. When speaking on the VR aspect in Sept. 2017, Konami mentioned, “All visual and aural elements have been remastered for native 4K resolution, and the action has been similarly improved with the game experience being ported to VR.” Hopefully, that aspect will be fine-tuned by the time September rolls around. VR or no VR, fans of 2003 original should be in for a treat when the remastered version is released in Sept. 2018. Watch the comparison trailer below.